This photo was submitted by one of our customers. It is the Skinny Tree 1 in a size D and silver color. It is almost 8ft. tall and 5ft wide This is a great installation and picture as you can really see how large WALLTAT wall decals are. The silver color produces a very dramatic effect and adds to the detail of the design. 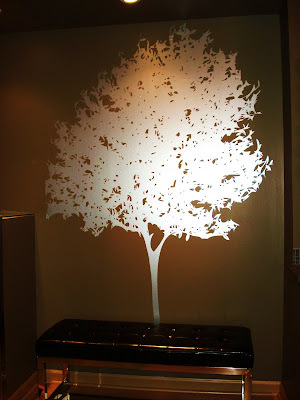 WALLTAT offers this silver finish for all of the wall decals. 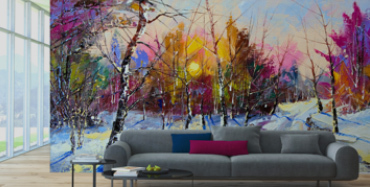 See more of the nature collection at www.walltat.com.